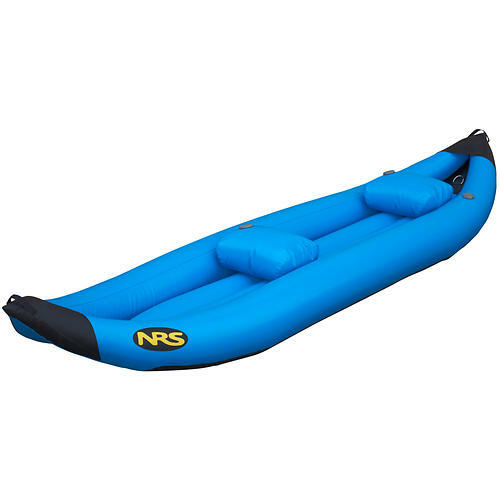 AIRE Lynx 1 Inflatable Kayak - The classic, sleek Lynx I inflatable kayak from AIRE is a tried and true all-around river runner. 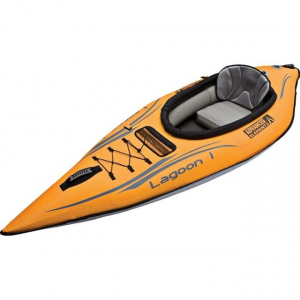 The Lynx offers stability, control and maneuverability all in one kayak. 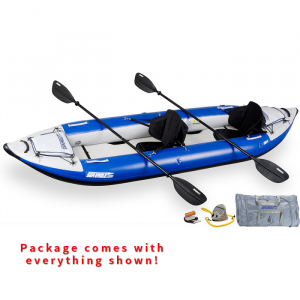 The Lynx can handle big water, creeks and your local river sections. 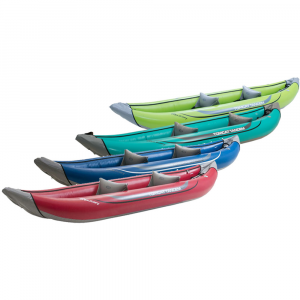 The continuous curve design give you a fast hull speed and quick responsiveness. Self-bailing drain holes keep the performance level high in bigger water. PVC-coated tubes and floor provide superior durability, and airtight internal bladders provide an extra measure of strength and safety. The adjustable Cheetah seat features a stiff backrest with a large storage pocket and bottle holder and easy clip in points. It can also double as a comfy camp chair. 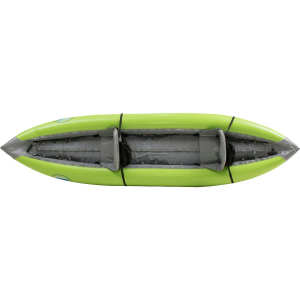 With a roomy interior and multiple tie-down loops, there's plenty of room for gear on self-support trips. 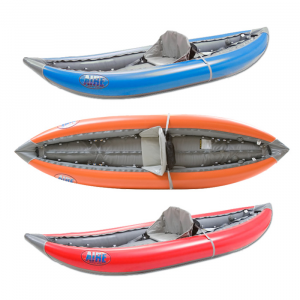 An excellent choice for all paddlers, the AIRE Lynx I inflatable kayak gives beginners the confidence to navigate the river and experts the agility they demand. 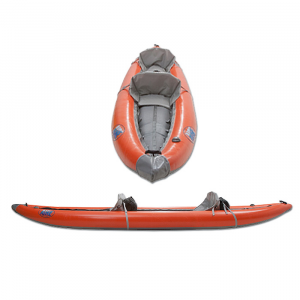 AIRE I.K.s feature fast hull speed and quick response. Unique design makes them light and maneuverable. An airtight urethane cell is zippered into a PVC outer skin providing abrasion protection. The Lynx is self-bailing for high performance and dependability. Perfect for fly-in or backpack trips.Repair kit included.